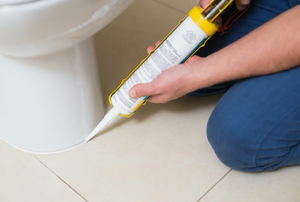 Replace caulking in four simple steps. 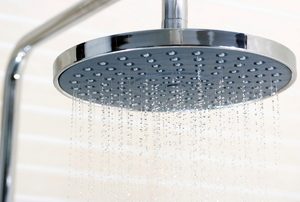 Invest in shower power with these handy tips! 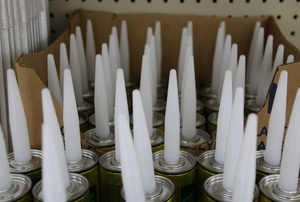 One of the keys to a good application is to choose the right product. Is it as universal and as easy as they say? Your tub helps you relax, but what have you done for your tub? 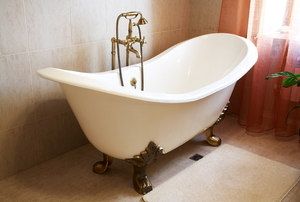 Give your old tub the royal treatment by making it shine like new. 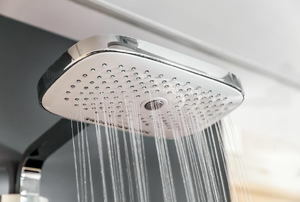 If your shower mixing valve is faulty you may experience temperature extremes, a dripping faucet, or low water pressure. 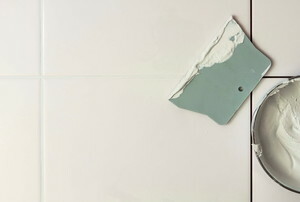 Silicone caulk is made to stay in place, which can make it difficult to remove. 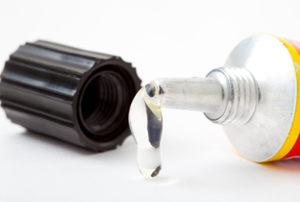 Industrial adhesive should be prevented from coming into contact with skin, but when it does, you'll need to know the best way to remove it. 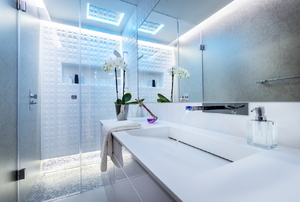 New fixtures can update your bathroom. 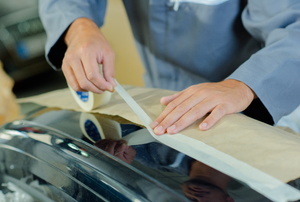 Painters tape can be expensive so many do-it-yourself painters prefer to use masking tape instead. 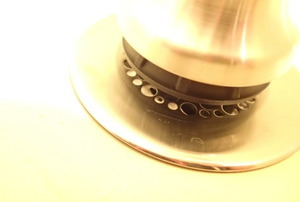 Replacing the diverter valve in the system is a straightforward task. 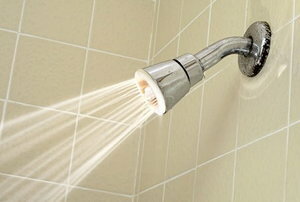 A leaky bathroom shower faucet is annoying, wasteful and leads to higher water bills. 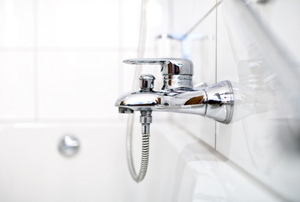 Save your bathroom from potential water damage. Fix that glass door seal! Stop that drip, drip, drip in just 3 steps. 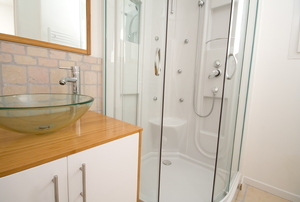 Replace the sweep on your glass shower door to avoid, or fix, water leakage. 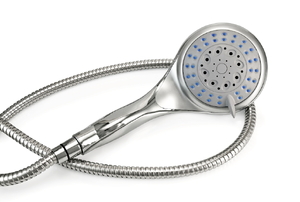 Replace a boring little showerhead with a rain deluge or a massaging sprayer. 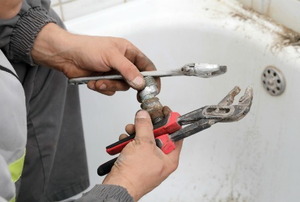 Sometimes a leaking faucet just can’t be fixed, so learn how to do a full replacement and be prepared to step up. 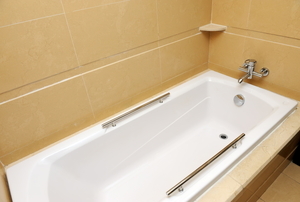 Replacing your bathtub drain flange is a simple operation, and we'll show you how. 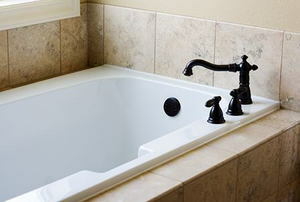 If the drain in your tub has a leak, we'll show you how to find it and fix it efficiently. 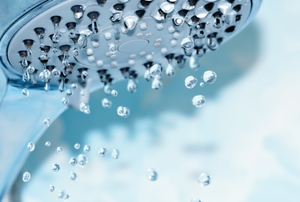 Soap scum can quickly build up on glass shower doors, so combine regular maintenance with deep cleanings to make them shine again. 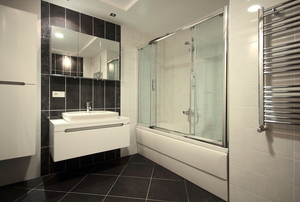 If your frameless shower doors are just out of alignment, don't worry. There are a few solutions to fix the problem. 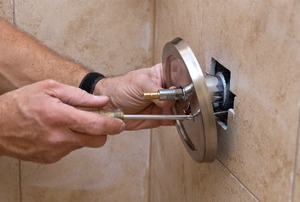 Repairing a shower diverter valve properly is important to the life of your bathroom fixtures. Be cautious of making these mistakes. 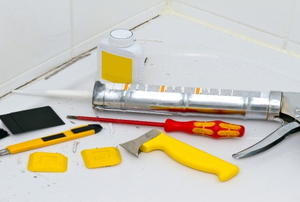 Whether replacing existing tile or re-grouting for a better look, these five tools could help make removing old grout easier. 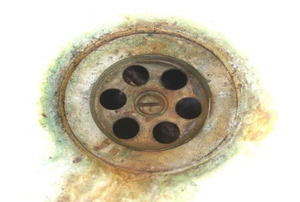 Learn how to keep your bathtub drain clear and free of rust! 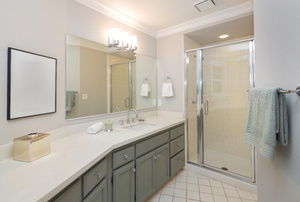 Refresh the look of your shower enclosure with a new coat of paint. 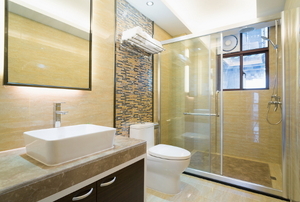 Don’t let your fiberglass shower get dirty and stay dirty. 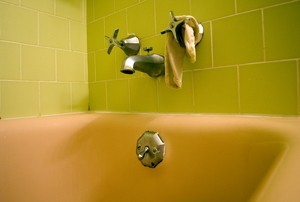 Simple household items are more than enough to clean it. 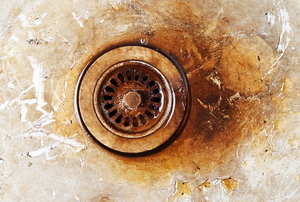 Buildup in your bathtub drain can cause terrible odors, but some solutions to this problem are found in normal household items. 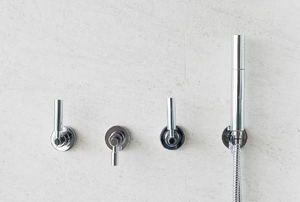 Follow these steps to replace shower door rollers. 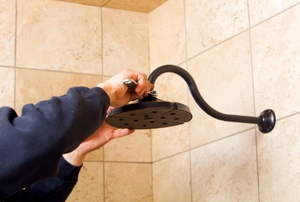 Follow these steps to replace a showerhead arm. 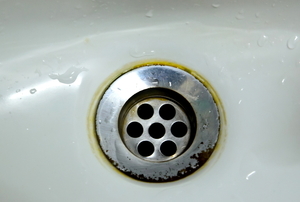 Stop the leak in just 3 steps.